With the recent flu scare it is a good idea to learn about antiviral herbs you can use to keep your family healthy all year round. Recently, LoveToKnow was able to interview Michael Tierra OMD and Founder of the American Herbalist Guild, Planetary Herbal Formulas and the East West Herb Course to find out what his expert recommendations are. 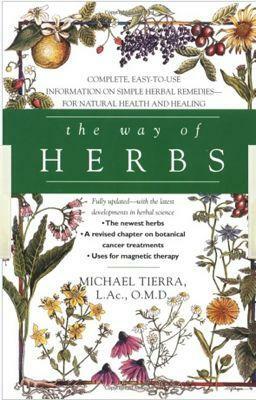 Michael Tierra is a world-renowned herbalist and acupuncturist as well as the author of several books that are considered must-haves by any student of herbal medicine. In 1989 he help establish the American Herbalist Guild, where herbalists of all backgrounds are represented professionally. "My interest in herbs and self healing came as a consequence of my living in Haight Ashbury and from there helped found a wilderness commune in the mountains of Northern California called Black Bear Commune." "Previously, as part of the "beat" generation living in Venice Avenue, L.A., I was a classical musician and then founded a rock band called The United States of America with a musician colleague, Joseph Byrd. We were good enough to have earned a contract with Columbia records and the band made one recording which in the world of historic underground rock and roll seems to enjoy a periodic resurgence of interest. I also performed avant garde music and antique music." "I left the band in frustration with some interpersonal differences. So I knew when I was moving to Black Bear it would be a new life. I was open and suddenly the plants of the meadows, forests and wild places spoke to me, calling me to them I realized when I was moving there, that I was beginning a new life." What are the best antiviral herbs to have on hand? Isatis, Adrographis and the formula called Yin Chiao echinacea which contains the North American herb, Boneset and Eupatorium Perfoliatum. Elderberry extract seems to have a similar antiviral effect in shortening the duration of the flu as the pharmaceutical drug Tamiflu, but without the serious mental and physical side effects. It's been my experience that once colds or flus are allowed to get a foothold, with some exception, there's a certain amount of simply letting it run its course. However herbs can lessen the severity and shorten the duration of these seasonal diseases. In fact, antiviral drugs do no better but they are expensive and they have nasty side effects, which is one reason why they are not more extensively employed. What herbs should be taken to prevent viral infections? The traditional formula since 1481 has been the Chinese Yin Chiao formula containing the anti-bacterial and antiviral herbs Lonicera (honeysuckle blossoms) and forsythia buds. The North American herb Boneset (eupatorium perfoliatum), used in the 19th century for the flu which in those days was called 'breakbone fever' is another candidate for treatment. Still another herb used both by the Chinese and in Ayurvedic medicine is Andrographis. This herb is now extensively used for colds in Scandinavian countries. What do people most misunderstand about antiviral herbs? Herbs may test relatively feeble in any direct antibacterial or antiviral properties, but what they are best at is to mobilize the body's innate ability to deal with conditions associated with these pathogens. What are your must-haves for every herbal medicine cabinet? Echinacea tincture, triphala, curing pills (Planetary Digestive Comfort), Yin Chiao, Stress Free, ginger, garlic, olive oil which are some of the herbs that readily come to mind. What are your thoughts on the current media attention to H1N1 (or Swine Flu)? It's basically a good idea for people to practice hygienic methods regarding contagious diseases. It's questionable how much good has been achieved with all the media hype, paranoia and sensationalism that has occurred concerning H1N1. In the context that 36,000 people die of ordinary flu each year in North America which is at the rate of about 800 a week, this outbreak hardly justifies the attention it has gotten. One of the problems is the boy that cries wolf too often, so that we might be unprepared if there really was to be a serious pandemic. All people should make an attempt to learn to recognize at least a few of the more common plants that often grow as weeds. There are many aspects of herbal medicine that are simple, including using herbs for tea, or pouring vodka or whiskey over some herbs to make an extract. Knowledge and use of herbs is our birthright. One can begin quite simply with a few herbs and attend to a lot of the simple health conditions. Young students should be taught the many therapeutic uses of a few common herbs such as ginger, garlic, onions, plantain, dandelion, malva, and so forth. It is a practical way to teach our interdependence with all of nature. For more information about Michael Tierra or to learn more about using herbs for medicinal purposes, visit Michael's East West Herb Course on his website. LoveToKnow would like to thank Michael Tierra for taking the time out of his busy schedule for this interview.